Indoor air quality is becoming a big issue. As commercial building owners become more aware of the issue, they will be asking manufacturers and suppliers to provide them with emission data on all products used inside the facility. Energy-saving window films will be one of the products that building owners begin to request emission data as outlined by the Environmental Protection Agency (EPA). A sample of 3M sun control window film (Neutral 20) was tested in accordance with the EPA for the Total Volatile Organic Compounds (TVOC) emission factor and the result was very positive. Total emissions from the laminated film were below minimum detection limits (< 1.0 micrograms/m per hour). 3M is confident that all of its sun control window films will pass this critical test for indoor air quality since 20 Neutral contains many of the coatings used in other films. While you may not need this data today, it will become necessary in the future. 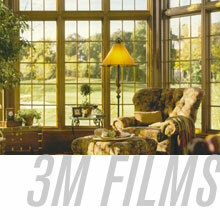 It is good to know that 3M window films pass the test.